It seems like water beads are everywhere online. I have been hesitant to use them in our sensory play out of concerns for the kids ingesting one (or more). 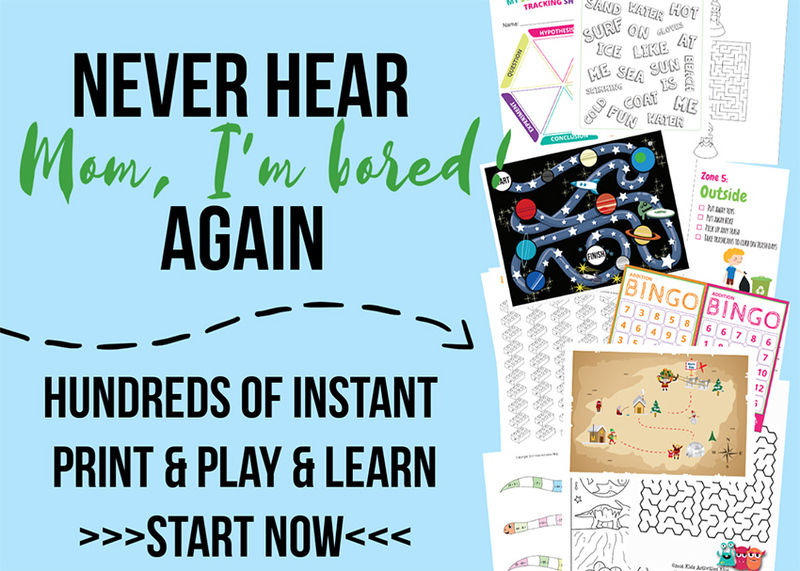 I was thrilled to discover edible water beads through Tinkerlab, Fun at Home with Kids and Blog Me Mom. We have had many weeks of fun with our edible water beads as a result of their inspiration! …and we discovered a perk of the edible beads. They are terrific for weight gain. If you have a child (like I do) who needs to gain weight or recover calories after a bout of illness, these tasty morsels are LOADED! We purchased large tapioca beads from Amazon. They come in either rainbow (pastel colors) or black. We used the rainbow ones so the drink would be more colorful. Either type tastes terrific! Boil 2 cups of water for every one cup of beads. After the water has been brought to a boil, pour the beads in, turn the water off and cover. The beads will soak up the liquid in about 20 or so minutes. 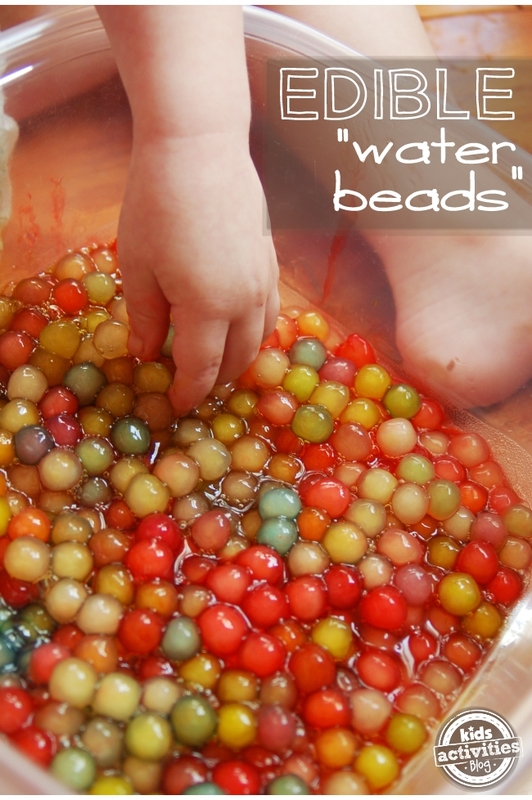 Once the beads cool, you can use the edible water beads for sensory play, and/or for fruity bubble tea (recipe below). 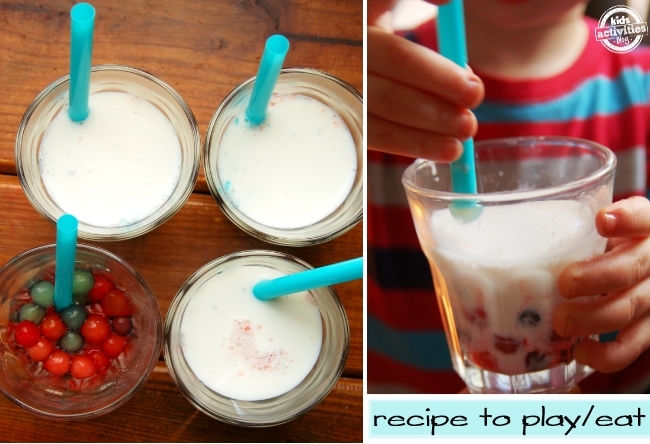 You will need a packet of jello for each flavor and a cup of cooked tapioca beads. If your beads are cold, add hot water to them, enough to cover the beads completely. Scoop two heaping tablespoons of jello powder over the beads. Stir the powder into the hot water/beads for at least one minute, making sure that the powder is dissolved completely. Drain excess liquid from the beads and let them sit until the beads have cooled. In a large mixing cup, combine the following: 2 cups of water, 2 cups of milk, 2 Tablespoons of honey, 1 teaspoon of vanilla extract. Scoop out 1/4 a cup of fruity beads into each cup. Top the cup with the milk “tea”. Drink with a thick straw. If your kids are like mine, they will want seconds! Yummy and filling! 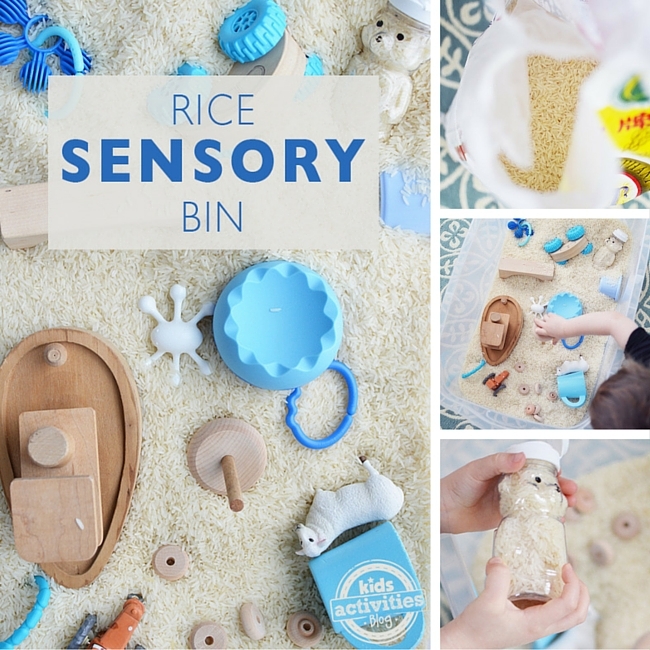 This DIY Rice Sensory Bin is perfect for playtime! It encourages kids to find hidden toys among the rice, and the rice’s smooth texture adds to the experience. Explore the ocean from home with this Feed the Shark Sensory Bag! Not only is this Edible Mud Sensory Play activity super fun, but it’s delicious too. More: Glowing Sensory Bottle for Bedtime, is a magical companion for your kids to have during bedtime. 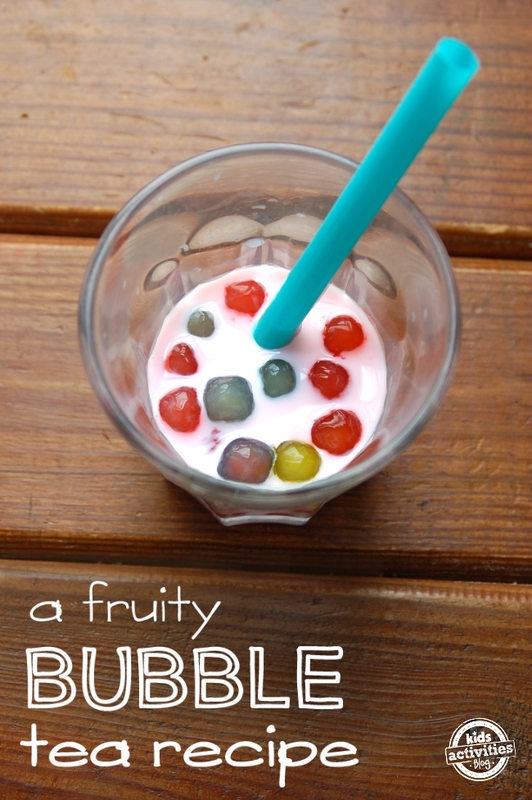 Leave a comment: Are you planning on making this yummy Fruity Bubble Tea? I wonder if you could use fruit juice instead of Jello? Anybody ever tried it?? Hi, cute post. Where did you find those extra wide aqua straws?